Some "based on a true story" movies exist to be meditations or reflections on the world like The Social Network or the new (and excellent) Battle of the Sexes. Others simply want to entertain. Doug Liman's new film, American Made, falls squarely, proudly in the latter category. The film tells the story of Barry Seal, a cigar smuggler and TWA pilot who is recruited by the CIA to fly planes over South America to secretly photograph Communist groups. However, Seal's talents are also recognized by Pablo Escobar's nascent Medellín Cartel who begin to pay Seal obscene amounts of money to smuggle drugs into the United States from South America while on his government missions. As Seal becomes increasingly wealthy and used by both the US government and the Cartel, his life spirals out of control. Liman has proven adept at creating fast-paced thrillers over the years with Edge of Tomorrow, Mr. and Mrs. Smith, and The Bourne Identity, and American Made, while not as action-packed as the aforementioned films, is no exception. Liman and screenwriter Gary Spinelli keep the film moving at a clip, never allowing it to slow down. Every few minutes something happens that further complicates Seal's life and gives the audience something else to laugh at or marvel at. As a side note, I'm curious about how much of American Made is true and how much was invented for the film, as the story on screen could easily have been played much darker instead of for laughs. While American Made is a non-stop, frequently jaw-dropping story, it wouldn't work without a major star leading it. Thus, Tom Cruise was a perfect casting choice. Cruise brings a sense of charisma and confidence lacking in most actors nowadays. Every time Cruise steps in front of the camera, everyone else seems to fade away. 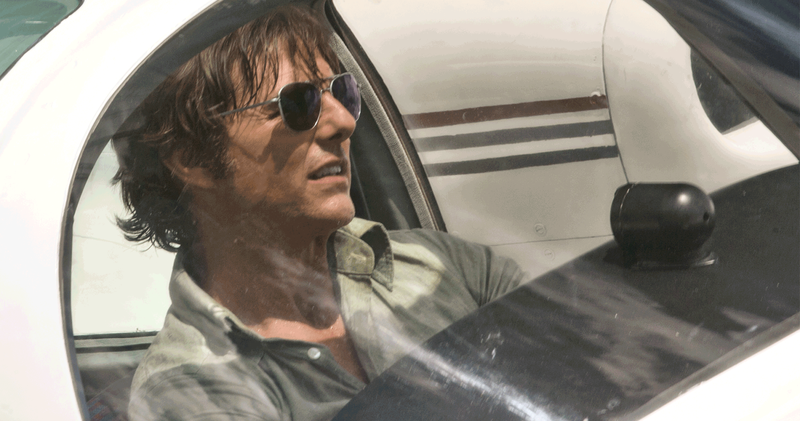 While the character of Barry Seal feels less like a character and more like Tom Cruise, he works and carries the movie effortlessly. Overall, American Made is solid piece of entertainment from a director and star who consistently deliver. It isn't groundbreaking or life-changing, but it is a fascinating behind-the-history story that should please both fans of Cruise and adults looking for a fun night out at the movies.